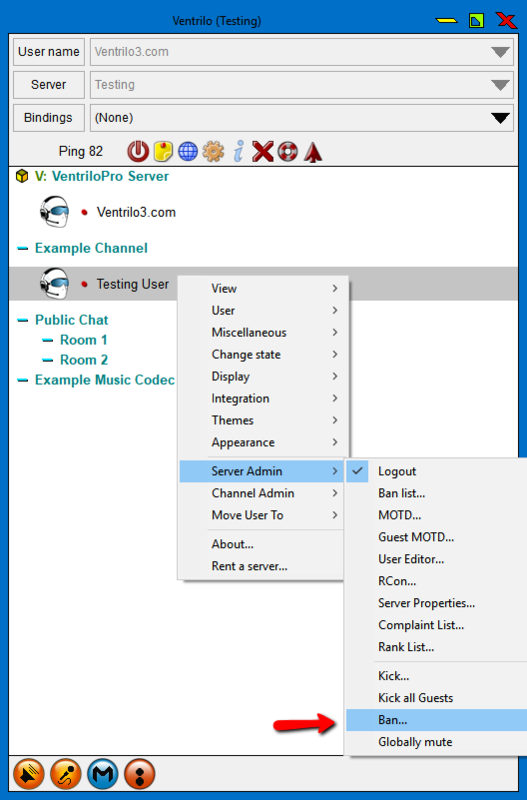 This tutorial will walk you through the process of being able to Ban unwanted users from your Ventrilo server. Type in the reason for the Ban. In the box that appeared you will want to type in the reason for the ban (if any). This message will be displayed to the person that is getting Banned. Click ok and the user will be Banned from the server.